If you frequently eat out, a dining rewards credit card can give you some pretty great rewards. Check out this list of the 3 best credit cards for dining out to see if one will work for you. In the U.S. alone, there are 196.5 million people that own at least one credit card. If that number surprises you, it shouldn’t. Credit cards are essential for building credit so that you can take out loans for major milestone purchases, like homes or college tuition. Additionally, credit companies now give you some great perks when giving a line of credit. They can give you cash back, flyer miles, or other rewards when you spend money at different places. If you frequent restaurants for meals, you’ll want to check out the following cards. They’re the best credit cards for dining out. Based on the rewards they give, these credit cards are the best in the market for the epicurean eaters among us. If you eat out a lot, these are the cards for you. Chase Bank has several credit cards that give you rewards as part of their greater Ultimate Rewards program, which follows a points system. With this card, you can earn 2x the points when using your card towards travel or at restaurants, as well as 1 point per dollar on every other purchase. If you spend $4,000 on the card within the first three months of opening the account, you’ll receive 50,000 bonus points. Those points can be redeemed for about $625 in travel expenses, or towards a bevy of other things. You can also just get cash back. The only drawback is that this card has a $95 annual fee, although it is waived in the first year. This card is similar to the Chase Sapphire card in that it gives you 2x the points for every dollar spent on dining and travel. However, it bests the Chase card slightly because it gives you 1.5 on every dollar spent anywhere else. On top of that, you also get 50,000 bonus points if you spend $3,000 on the card within the first 3 months, as opposed to Chase’s $4,000 goal. This card also has an annual fee of $95. This Capital One card was designed specifically for the foodies among us. It even has savor in the name. Capital One eschews the complex point system entirely for a much simple cash back system. This card gives you 3% cash back on dining, 2% on groceries, and 1% back on other purchases. On top of that, you also get a $150 cash bonus after spending just $500 on purchases in the first 3 months. There are also no annual or foreign transaction fees for this card. 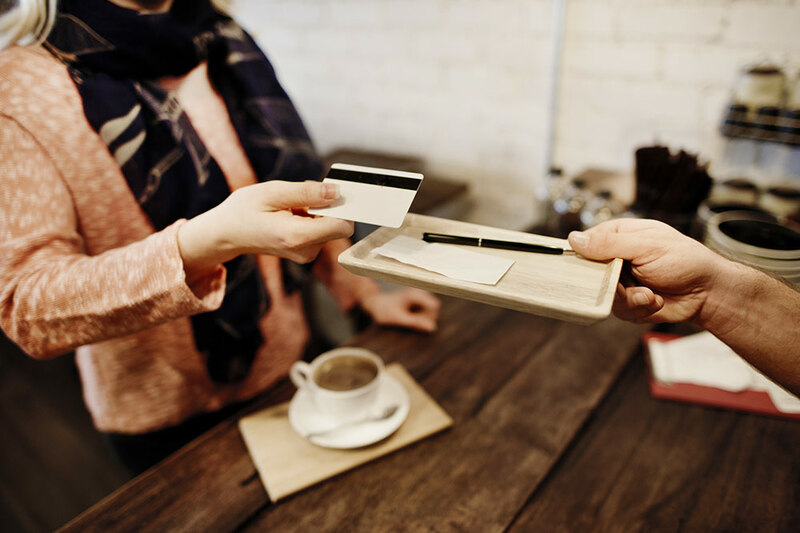 Credit cards are a fantastic way to build credit and get something in return for the money you spend out restaurants while traveling, or doing anything else. If you’re looking for more ways to get the best bang for your buck in every financial arena, you might be interested in checking out the business section of our website. It’s got a wealth of information you can use to better your life.